After tasting success with the India Scout, Polaris India will launch the new Scout Sixty by May 2016. This was revealed to BikeWale by a source. First unveiled at the 2015 EICMA, the Sixty Scout has been developed to take care of the lower spectrum of the premium cruiser market. The Scout Sixty is basically a more affordable version of the Scout but retains the overall design and styling. It retains the Scout’s chassis, suspension setup and brakes, but ABS has been excluded. The usage of chrome is much lower on this bike to keep costs in check. The Indian Scout Sixty is powered by a new 999cc V-twin engine that produces 78bhp – almost 12bhp less than the Scout. The engine is mated to a five-speed gearbox that transfers power to the rear wheel via a belt drive. 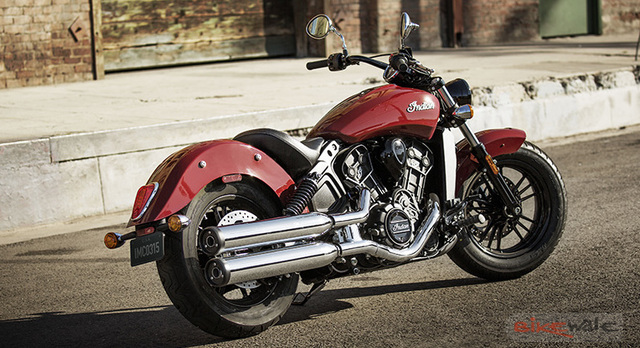 The Indian Scout will be priced very competitively and will be sold as a completely-built-up (CBU) unit. The American company is expecting this bike to become their highest seller once launched.